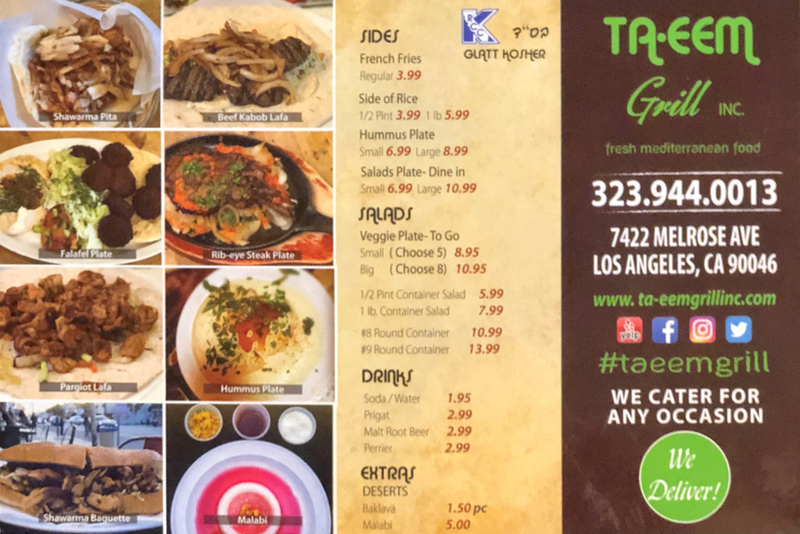 When you come to Ta-eem Grill, Inc., you will find a wide and mouth-watering menu of the best the Mediterranean has to offer. 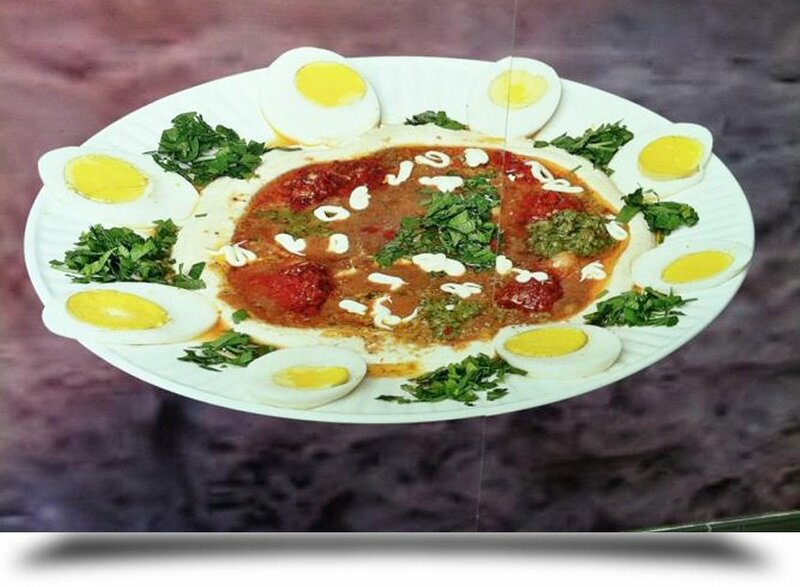 From appetizer to dessert, we will have you licking your lips as you enjoy not only our food, but also the company of your family and friends. 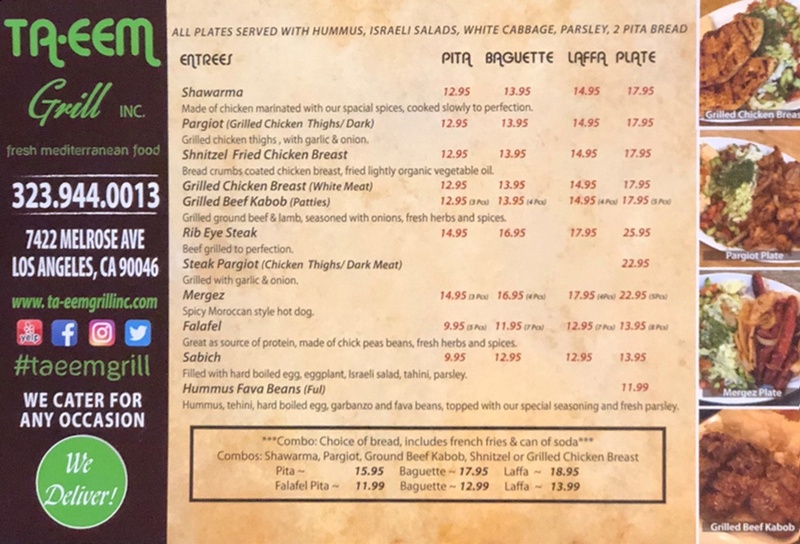 Click this image of our menu to view full size and print! We are always available to answer any questions you may have. Come in today for more information.